Most of us today eat far too many Omega-6s. To make matters worse, we eat even less Omega-3s than ever before as well. This change in proportion of Omegas could be considered one of the most destructive aspects of the diet in the developed world. What Do They Each Do? They are similar - both are polyunsaturated fats. And we are unable to produce them ourselves and so must source them from foods. If we don't consume them we become lacking in these oils and our health suffers. That is why they are labeled "essential". These are not just simply fats though - an energy source - they actually play an active role in our bodies in dealing with inflammation and the clotting of blood. And that is where the similarities end. Omega-3s help fight inflammation while Omega-6s help cause it. Remember that inflammation can be a good thing in a healthy body - it is necessary to help defend us against injury and infection. If the levels are too high, however, the inflammation itself causes problems and lead to chronic disease. It is now thought that too much inflammation may be one of the reasons that we suffer with such chronic ill-health today. The big lifestyle diseases can all be attributed to increased levels of inflammation. Get too much Omega-6 and not enough Omega-3 and your system goes out of whack. Have the right amounts of both and you will have fewer problems. What Do Members Of Healthy Societies Eat? In order to answer this question, researchers have studied people from all over the world and concentrated on those that are less prone to high levels of the lifestyle diseases. There is no country in the industrial world that falls into this category. We need to look to the more agrarian societies. Dr. Guyenet, one of the leading researchers when it comes to these societies has found that the average ratios of Omega-6 to Omega-3 were anywhere from 4:1 right through to 1:4. Those societies that typically relied on protein from land creatures tended toward higher levels of Omega-6 than Omega-3. Those who ate primarily seafood had higher levels of Omega-3. And the so-called lifestyle diseases are pretty much unheard of in these societies despite their reliance on saturated fats. The key, it would seem, is that overall the levels of both were kept in check - just enough to be healthy and not a surfeit. For most of us though, we are looking at ratios in the region of sixteen to one! It is not just that we aren't getting as many Omega-3s but also that we have increased the amount of processed, Omega-6 laden oils that we eat. Up until around about a century ago, we were simply unable to produce these unnatural oils. One study looked at the consumption of oil derived from soybeans over starting in 1909 and ending 1999. Consumption jumped up from nothing at all to 24 per capita on an annual basis. It is estimated that this amounted of 7% or all calories consumed in the last year of the study, a massive percentage. In America alone, this oil accounts for the biggest portion of Omega-6s in diets. It is inexpensive and so is used extensively in processed foods. The number of Omega-6s in the body has gone up by over 200% in the last half century alone. That is a sobering thought - it indicates that those processed fats are actually changing our body's composition in terms of fat and cellular makeup. Studies have linked high levels of Omega-6s being stored within the membranes of our cells as correlating with higher levels of heart disease. Trials that have tested the effect of using Omega-6 fats instead of saturated ones have proven that this actually increases the chances of developing cardiovascular diseases. 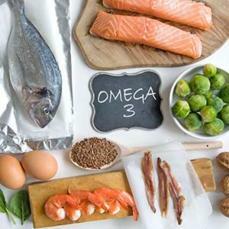 A diet higher in Omega-3s has been proven to decrease the chances. Interestingly enough it has also been found that higher dietary levels of Omega-6 also correlated with increased levels of depression and aggression. Omega-3's, on the other hand, have been proven good for improving mental health. Omega-6s are dangerous for another reason as well - the bonds between the molecules are quite volatile and react readily with oxygen. This leads to more free radicals being formed and consequent damage to cells with premature aging and potential development of cancerous cells. Luckily for us, it is not that difficult to control the levels of these acids. Start today and get rid of any oils that contain Omega-6 and any products containing them. If you do just one thing for your health, avoid these like the plague. Remember that a lot of processed foods contain these oils as well so be very careful what you do buy. Stick to the more traditional fats like coconut oil, lard, butter and olive oil. Never, ever eat soybeans in any form. There are high levels of Omega-6s in seeds and nuts as well but as long as they have not undergone any processing, the health benefits outweigh the potential risks. Watch out for foods that are based in grains as well. To all you carnivores out there, great news - the best possible source of two Omega-3 acids - DHA and EPA - are meat and meat products. It's not all good news though - most commercially farmed animals are grain-fed rather than grass-fed. This impacts the Omega-3 level since most of the fats in these products are Omega-6s.If you are able to, therefore, it is better to get pasture-raised meat. If not, any meat has health benefits - except for processed meat. When it comes to pork and chicken, they may not be as healthy as you think. What they eat on their way to ultimately becoming a meal for you means that they have high levels of Omega-6s. For safety sake, stick to the leaner cuts. If you are able to, it is best to look for pasture raised or eggs enriched with Omega-3s. The best thing that you can do, however, is to eat fish at least once a week. You want to look for oily fish like salmon and, again, try for naturally raised salmon. Do look into the background of the salmon though ahead of time - find out what the levels of contaminants are in the area it is farmed in. 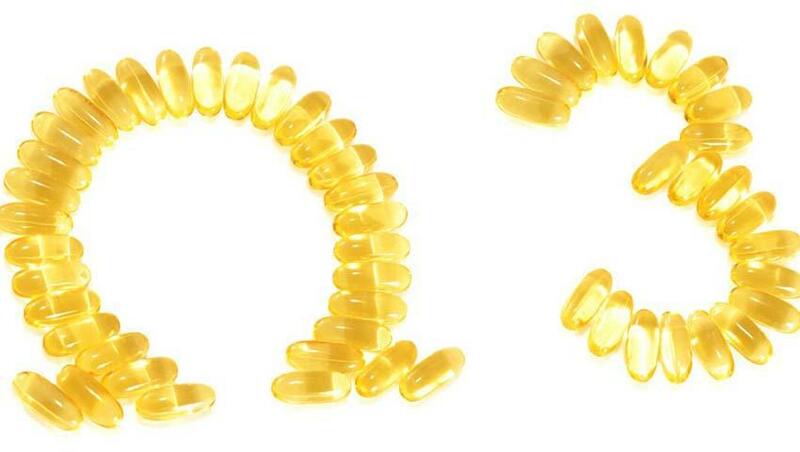 If you don't think that you are getting enough, an Omega-3 supplement is a good idea. Make sure the supplement you take is based on clinical research, is derived from cold water fish and contains optimal levels of both EPA and DHA. Vegans may argue that chia and flax seeds do contain levels of Omega-3. The problem is that this is not in a form that we can easily convert so if you are a vegan you need to supplement. Be aware that you are not going to magically become healthy overnight - you need to get the balance right and this could take a while as Omega-6 is stored in the fat in our bodies and it can take a very long time to unload them. But it is worth it in the end.